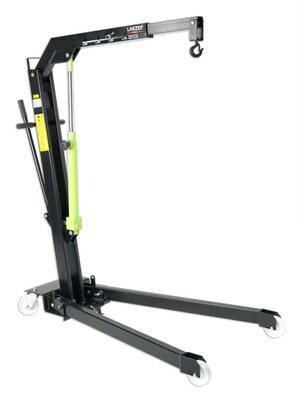 From 500 to 2.000 kg lifting capacity. Heavy duty wheels and swivel rear castor for easy movement. Exceptionally versatile due to their compact dimensions when folded up. Fitted with a safety relief valve to prevent overloading. All models are fitted with an extendable jib to increase reach. Special lowering valve in all models for safer and better control of descent. If the knob is released accidentally, the arm stops.